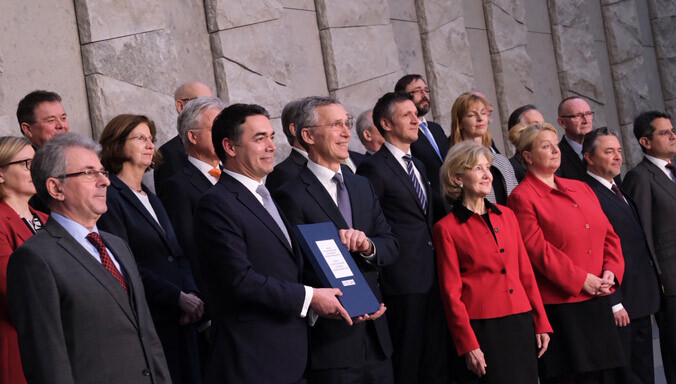 BRUSSELS – Today, the Permanent Representatives of the 29 NATO members signed the Accession Protocol with Skopje. 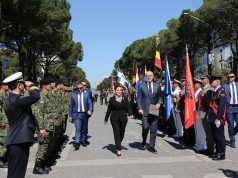 The ceremony took place at the NATO Headquarters in the presence of Foreign Minister of Macedonia Nikola Dimitrov. During the joint press statement, Secretary General Jens Stoltenberg congratulated both Skopje and Athens for showing commitment and courage in reaching the agreement in the name issue. “We can now look to the future. Once all our Allies ratify the Protocol, Skopje will become the 30th member of the Alliance. Membership will secure you a seat at the North Atlantic Council. You will have an equal voice in shaping the decision we take as allies”, said Stoltenberg. He reminded that Macedonia is contributing to the NATO mission in Afghanistan, promoting regional cooperation in South East Europe, and also implementing major reforms. Soltenberg also pointed out that North Macedonia will henceforth be participating in the NATO meetings as an invitee. 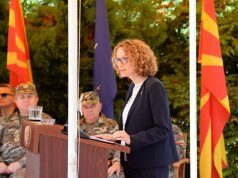 “We look forward to welcoming Defense minister Radmila Šekerinska as early as next week and to inviting Prime Minister Zaev to the leaders meeting. I am happy to announce that the leaders meeting will take place in December in London. London was our first HQ in 1949, so it was the ideal setting to mark NATO’s 70th Anniversary”, said Soltenberg and added that today’s signing of the Accession Protocol shows what diplomacy and statesmanship can achieve. In his opening remarks, Foreign Minister of North Macedonia Nikola Dimitrov said that this is a great day for his nation and that they had 18 cycles of Membership Action Plan before today’s signing. “History doesn’t simply happen, you have to make it happen. I want to acknowledge and praise the leadership of Prime Minister Zaev and of Prime Minister Tsipras. It was easier not to go through with this, so by no means, this historical reconciliation was inevitable. It was not even likely. It was easier to seat in the trenches of history. 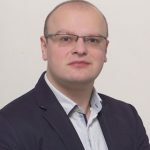 But what they dared to do is to invest political capital for the benefit of the two peoples of the two nations and the whole region, and NATO as a family and an alliance”, said Dimitrov. He pledged the commitment of his country to continue with the reforms in the field of the rule of law, intelligence sector and defense modernization. Dimitrov also pointed out that the journey is not over. North Macedonia looks forward to the ratification of the Accession Protocol by all 29 allied. “What is important for us, that we will never walk alone again. 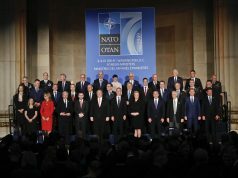 And we stand beside 29 Allies, NATO member states, able and ready to assume the obligations arising from our full membership in NATO”, concluded Dimitrov. “For us, NATO is about making the world more peaceful and more stable. We will do our part when it comes to NATO missions and we will also do everything we can to make sure that our region, South Eastern Europe or the Balkans, is a region that is more predictable, more stable and more prosperous. It was a great day today”, concluded Dimitrov.